Saturday evening, the Lon Kruger-coached Sooners meet Villanova inside Houston’s NRG Stadium. And when they do, both Billy Tubbs and Kelvin Sampson — the last two coaches to skipper the Sooner men to the Final Four — will again see plenty they recognize from their best days on the Sooner bench. Perhaps not so surprisingly, the similarities each man sees are not necessarily the same. 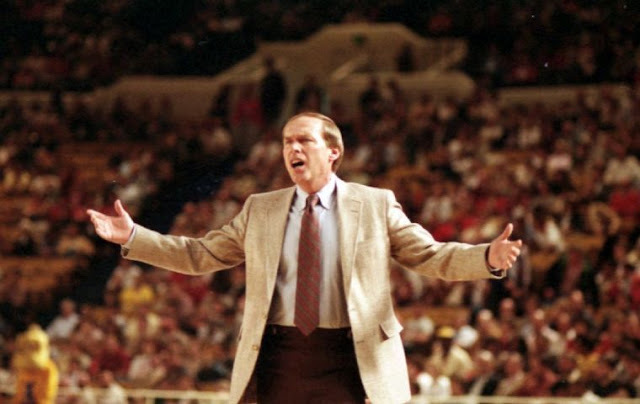 Tubbs sees Kruger’s Sooners’ willingness and want to get up and down the court, even if it was nothing like his team managed to get up and down the court, averaging more than 100 points per game on the way to the 1988 national championship game in Kansas City, Missouri.